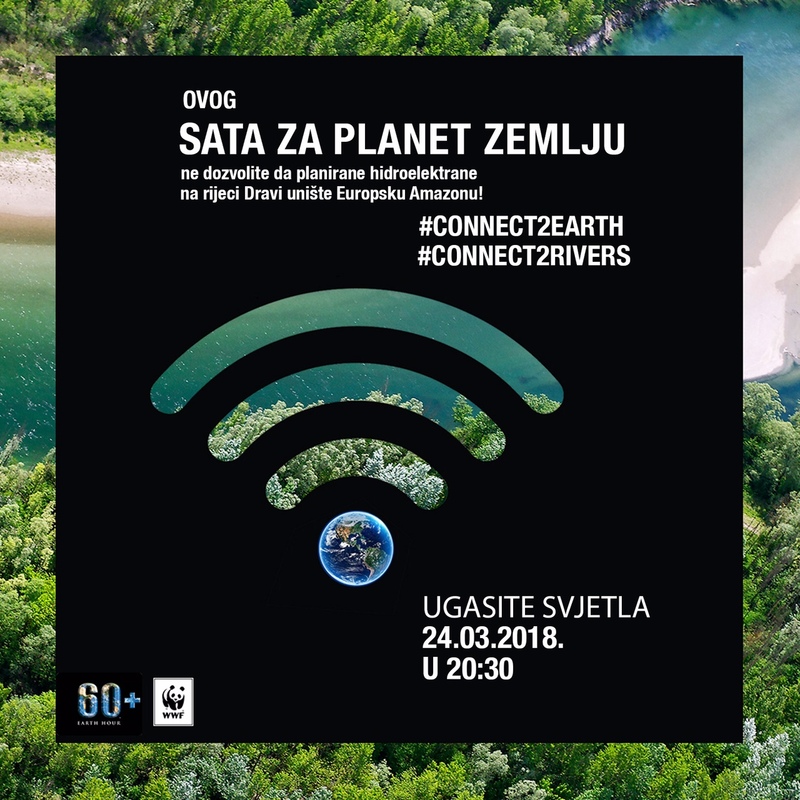 Ten days before this year's Earth Hour and on the International day of Action for rivers WWF Adria has launched the petition to save the Drava river in Croatia from hydropower threats. 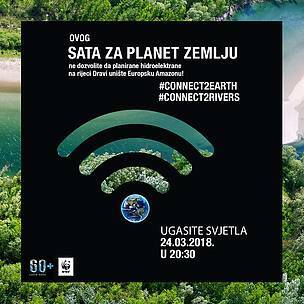 ZAGREB – The campaign against the construction of two new hydropower plants on Drava river in Croatia which WWF started earlier this year has been revived on the International day of Action for Rivers. 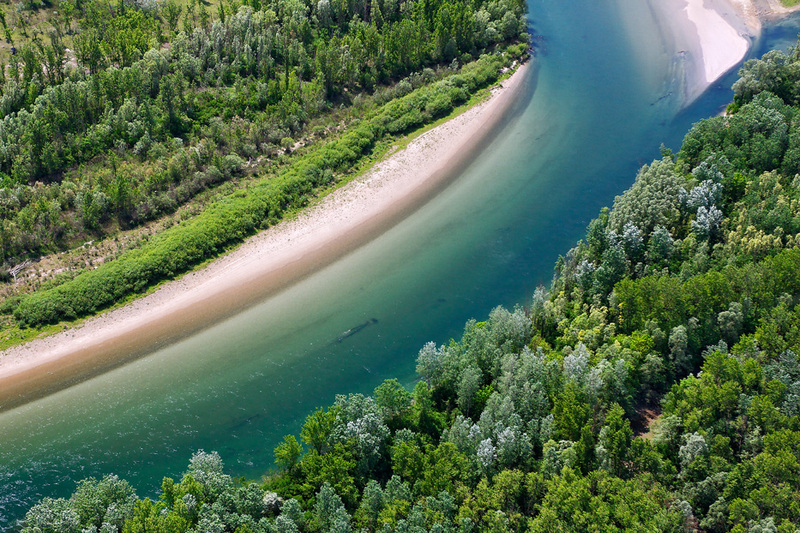 WWF Adria launched the petition to save the Drava river from the new hydropower plans and urges the Koprivnica-Križevci county mayor Darko Koren to stop the inclusion of the Molve 1 and 2 hydropower plants into the spatial plan of his county. „The Drava River in Croatia is one of the last natural rivers in Europe, especially the area where the Molve 1 and 2 hydropower plants are planned. Hydropower plant construction would deteriorate the most preserved Drava river ecosystems and would also have a direct negative impact on the local population and natural and cultural heritage of Podravina region in Croatia.“ said Ivana Korn Varga, project officer in WWF Adria. Extincton of the freshwater species in the last 50 years is high as 81 percent, mainly due to the construction of dams that interfere with the free flowing rivers. Hydropower and its dams also directly affect the mitigation capacities and adaptation to climate change, and is the valid reason to say, "It's enough! 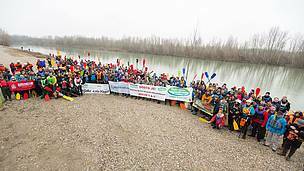 – Help us save Drava river from the construction of the hydropower plants!". Due to its natural value, the entire Drava river in Croatia is included in the European Union's Natura 2000 Network, the Mura-Drava Regional Park and the UNESCO Transborder Biosphere Reserve Mura-Drava-Danube. On Drava we can find an abundance of gravel and steep river banks, the most endangered river habitats that are home to endangered bird species such as Little tern and Sand martin whose numbers are drastically declining. "It is unforgivable to sacrifice the priceless ecological functions of the Drava river and the existing and future measurable economic benefits for the entire community. The construction of two hydropower plants brings little economic benefit to a limited number of people and potentially enormous loss to the entire community" said Helena Hećimović, the initiator of the campaign against the construction of hydropower plant Novo Virje on Drava river two decades ago. In the Drava river there are more than 70 fish species, more than in any other river in Croatia. The impact of the hydropower plant on the fish stock would be extremely large due to prevention of migration and disappearance of key habitats due to reservoirs. Consequences of construction would be large also downstream. Lowering of the groundwater level would reduce the amount of water for about 300,000 inhabitants. The fall in groundwater levels would also affect the oak-tree forests, which would be felt by the domestic wood industry. "The topic of this year's Earth Hour is the preservation of the biodiversity and connectivity with the free flowing rivers. 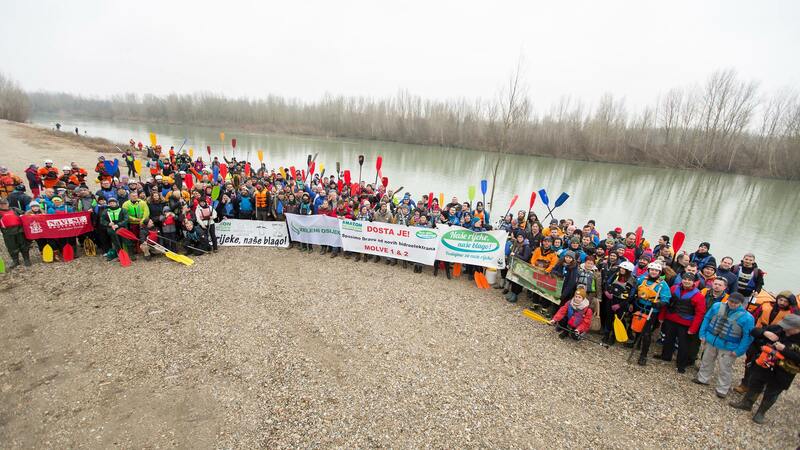 We use this opportunity to encourage everybody to sign and share our petition and thus contribute to the conservation of the Drava river," added Korn Varga. Please help us stop the inclusion of the Molve 1 and 2 hydropower plants into the spatial plan that can ruin the "Amazon of Europe" and future UNESCO Transborder Biosphere Reserve Mura-Drava-Danube. Please sign and share the petition and lets reach our goal together! Ovog Sata za planet Zemlju ne dopustite uništenje Drave! Kampanja DOSTA JE! započela je zimskim spustom na Dravi u siječnju 2018.